Goodness me it’s Rosemary! 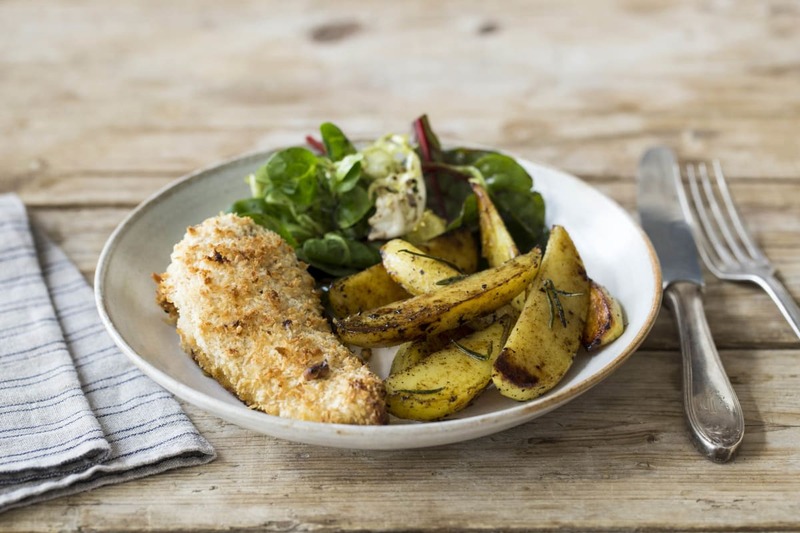 Kick your chicken schnitzel experience up to the next level with this irresistible combination of nutty walnut and rosemary crumbed chicken fillet. The mist of the sea floats over to your crunchy potato wedges, bringing this meal together in glorious harmony. Preheat the oven to 200ºC/180ºC fan-forced. 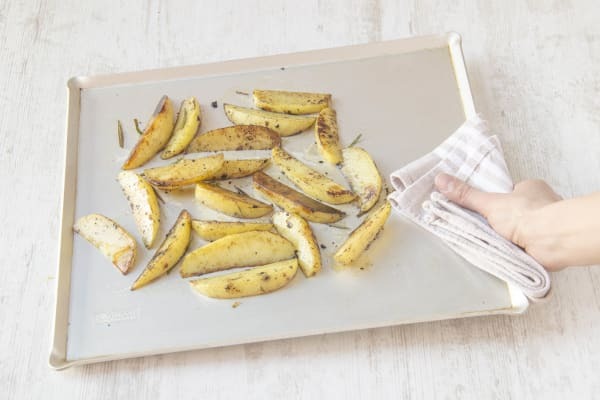 Peel the potatoes and cut them into wedges. Remove the rosemary leaves. Finely chop the walnuts and wash the mixed salad. 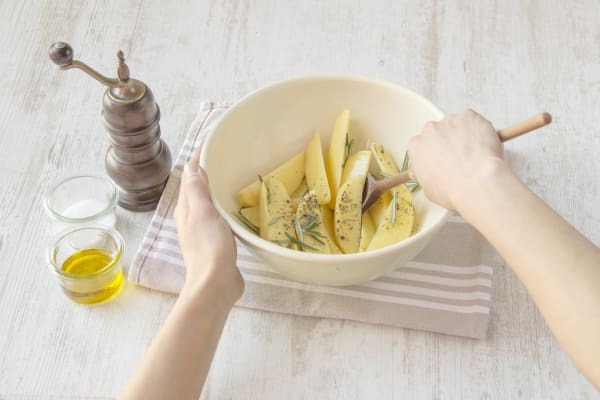 Toss the potato wedges in some oil, half of the rosemary leaves, and a good grind of salt and pepper. Bake the potatoes in the top shelf of the oven for 25-30 minutes or until brown. 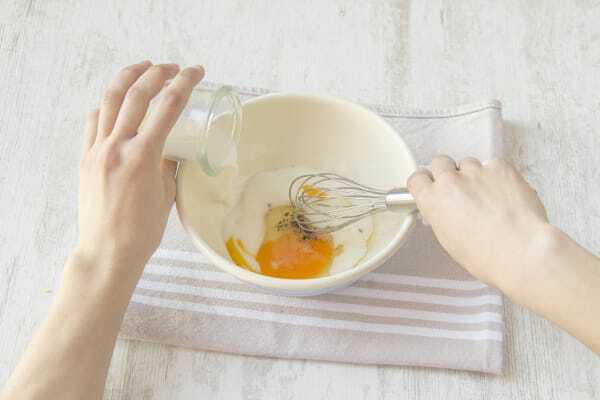 Meanwhile, whisk the egg and milk together and season well with salt and pepper; place the chicken in the milk mixture and allow it to rest for a couple of minutes. Chop the walnuts. Combine the breadcrumbs, walnuts, the remaining rosemary, a pinch of salt and pepper in a shallow dish. 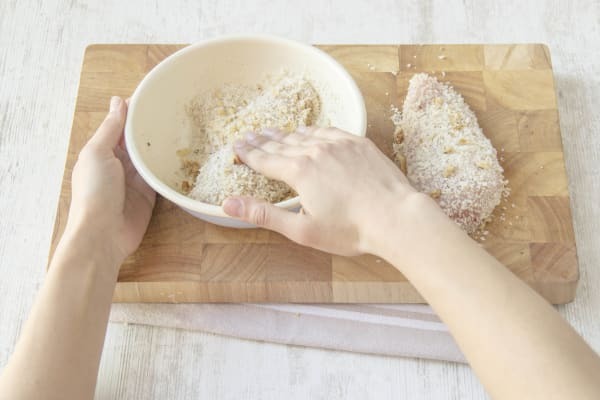 Remove the chicken from the milk and press it into the crumb mixture until each breast is evenly coated. Arrange a wire rack on a lined baking tray. (If you don’t have a wire rack you can just use a tray). Place the chicken on the rack. Bake for 13-15 minutes or until the chicken is cooked through. Serve the chicken with the potato wedges with a side of mixed salad topped with a drizzle of olive oil and balsamic vinegar!